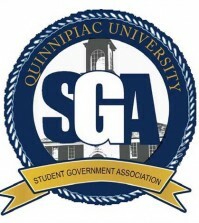 Quinnipiac’s Student Government Association (SGA) has a major influence on campus life. Therefore, elections are crucial in addressing the needs of the student body. In the past, campaigns have been bland and have not highlighted the different personalities vying for our votes. But now, many of the candidates are turning to humor in order to win votes. 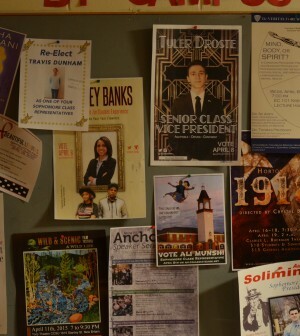 This semester, many candidates are incorporating elements from pop culture into their campaigns. For example, Cassidy Fitzgerald (running as a representative for the junior class) wrote “Swipe Right on the Ballot” on one of her posters, using the popularity of Tinder to get her point across. Lindsey Banks (running for vice president for student experience) has the word “Flawless” in italics on her poster with Beyoncé and Jay-Z standing under her framed face. 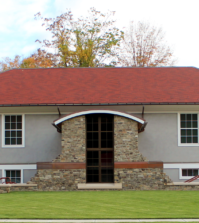 Liam Kenney (running for class president of the class of 2018) used a Bob-the-Builder reference and applied it to his name. 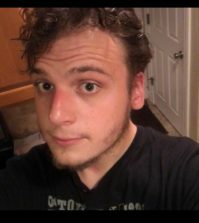 “Kenney Fix It? Yes He Can!” Ali Munshi (running as a representative for the sophomore class) had a similar idea by having an Aladdin themed poster. The name reference is subtle since Aladdin’s other name in the movie is Prince Ali. Another eye-catching poster features Jesse Burns and Ryan Lynch (running as president and VP for the class of 2018) wearing ties and standing in a ball pit. The image indicates that they can be serious but know when to relax. All of these unique campaigns illustrate that humor can be very effective and it will be hard to find a favorite.